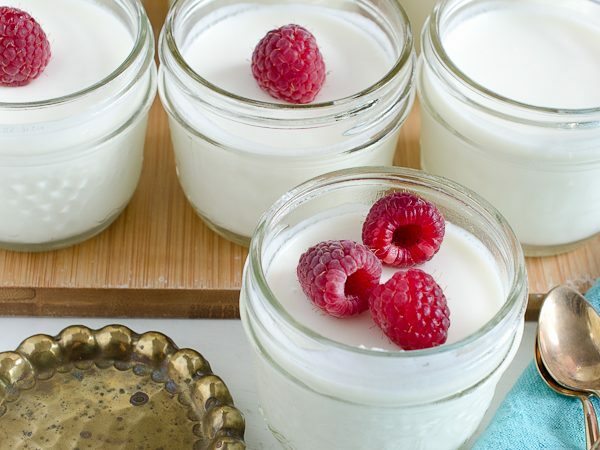 This is my go-to buttermilk panna cotta recipe. I love using this recipe as a base and experimenting with flavors by adding vanilla, orange blossom water or even a little liquor. You're going to love it! I love easy make-ahead desserts. Put the desserts in cute little mason jars and I go a bit giddy. Just look how cute they are! I'm a little new to this whole panna cotta thing. Seriously, I only tried it about a month ago for the first time. And after many frustrating hours spent trying to fix a batch from a recipe that did not work at all (grrr! ), I swore I'd never make it again. But I'm a little stubborn sometimes. With a little a bunch help from Faith Durand and her article about Why Panna Cotta Is the Perfect Dessert, I was able to get an idea about what the proper milk/gelatin ratio is for panna cotta. If you make Buttermilk Panna Cotta Recipe make sure to snap a pic and tag @theendlessmeal on Instagram so I can like and comment on your photos. I love seeing TEM recipes you create. 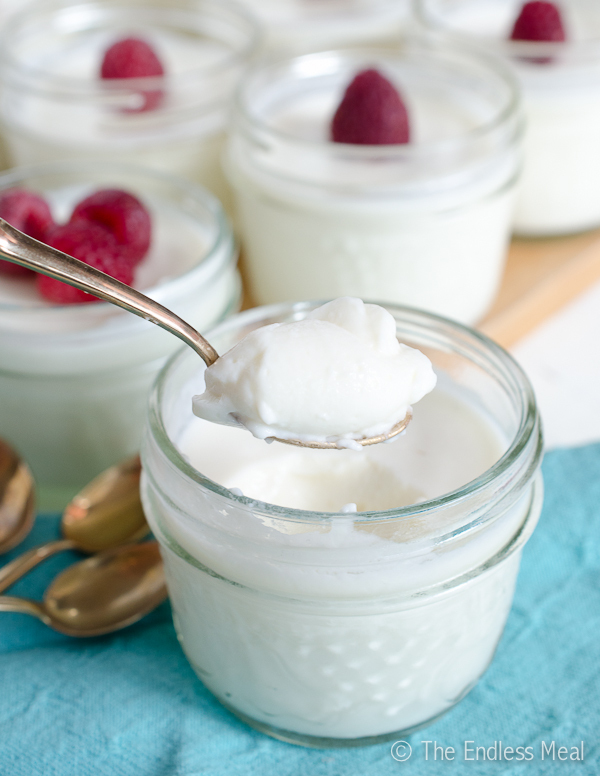 I've perfected a Buttermilk Panna Cotta Recipe that you have to try. 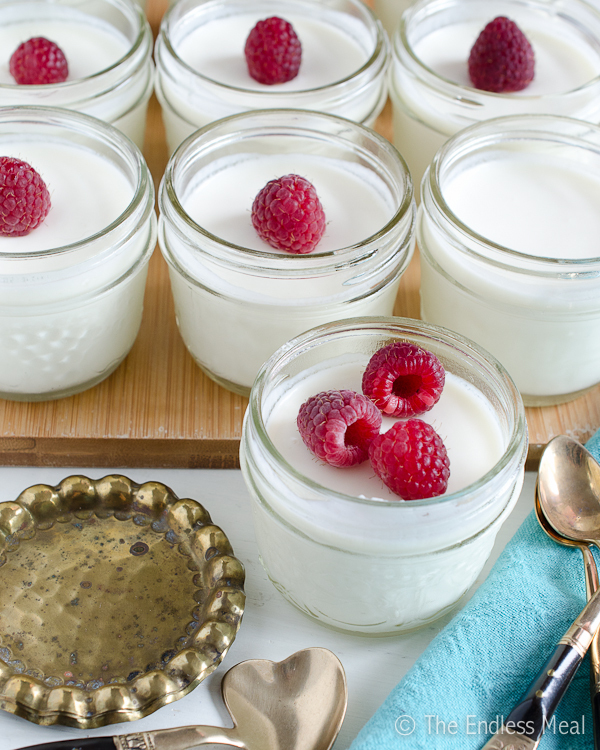 These desserts are so cute served in mason jars, too. Remove from heat and whisk in the sour cream and whipping cream. Place in fridge for 30 minutes, or until cool to the touch. This looks amazing, and I would absolutely love to make it! However, I am vegetarian! Do you have any recommendations for an ingredient that could easily replace the gelatine? There are many vegetarian alternatives to gelatine, but perhaps you have a preference among them? I do know that you can use agar as a thickening agent instead of gelatine in some desserts to make them vegetarian. From the little I know of it though it does tend to be a little gritty and does need to be boiled before it is activated. I also believe that the amount you need will be less than gelatine, although I’m not sure exactly how much you will need to use. Would definitely be worth experimenting with though! Hi Kristen – I’m sure it tastes as fabulous as it looks! The mason jar is perfect! A while back I found a similar recipe in an Italian/French food blog for a buttermilk maple syrup pannacotta… I liked it because it was so exact (a bit strange but everything is in grams including liquids) and has worked every time! 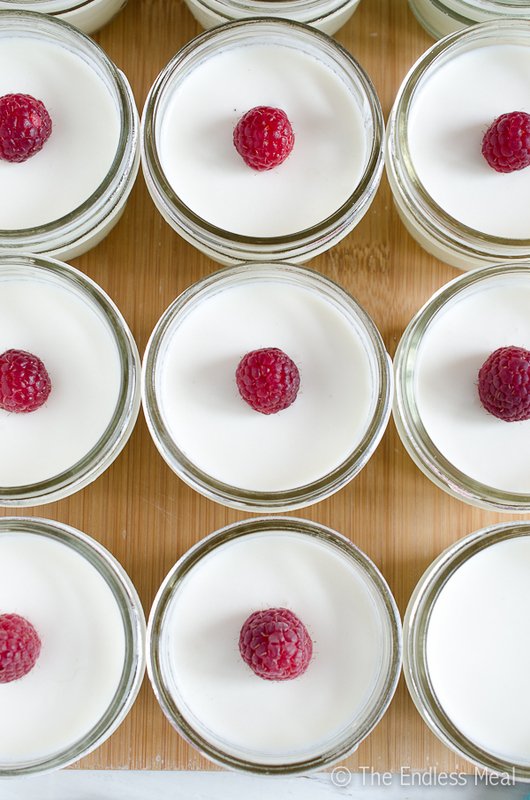 Buttermilk maple panna cotta sounds delicious! The next time I make panna cotta I am definitely going to try this recipe. It always is a bit funny seeing a recipe all in grams but I actually prefer it that way. It has taken me a bit to get used to always using my scale but when I do recipes always turn out better. Even though it still feels a bit funny I think it is just a lot more accurate. You are so awesome for sending the recipe. Thank you so much! Panna cotta is one of my favorite desserts. Serving it in little mason jars is a great idea! this sounds delish! i love buttermilk and creamy desserts!